M.Sc.Integrated Urbanism and Sustainable Desing (Stuttgart University/ Ain Shams University), on Community Based Security of Tenure: Initial Framework for Squatter Areas in Cairo. 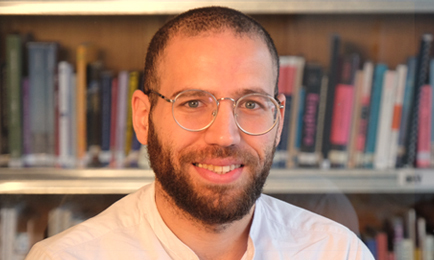 Mohammed Alfiky (1988); PhD candidate at Stuttgart University, Researcher, urban planner and GIS expert, graduated from Ain Shams University department of Urban Planning and Design in 2011. Obtained his M.Sc. in 2014 from Integrated Urbanism and Sustainable Design Programme (IUSD) entitled “Community Based Security of Tenure: Initial Framework for Squatted Areas in Cairo”. Since 2014, Alfiky was working for the IUSD-Cairo as researcher on the research entitled “Development Priorities in Informal Areas: Planning, Realization and Local Perceptions” DEVEPER in cooperation with the Habitat Unit-TU Berlin. Besides being a teaching assistant for the Integrated Case Study module (ICS) in the IUSD. Beginning April 2015 till August 2015, he joined the Institute for Landscape Planning and Ecology (ILPÖ) in Stuttgart University for 4 months as a co-lecturer for Geo-design module for the IUSD-4th intake. Since August 2015, he is back again for the IUSD-Cairo. In 2017, he co-founded Madyan Organization for Urban development with 8 other partners. He was the head of the Urban Planning team for Futuremakers project in Sohag Governorate with UNDP. Moreover, he was the head of the Urban Planning committee for the selection of candidates in the Urban Lab Camp (ULC) in el Gouna. Further, he is a co-expert for GOPP for “urban development of Altawar’ Axis” in Assalam district. Additionally, Alfiky has several publications regarding urban informality in Egypt. Alfiky, M. (2016): Security of Tenure and Laws: The Case of Cairo’s Squatter Areas. In: Global Crisis, Planning & Challenges to Spatial Justice in the North and in the South. Rio De Janeiro: World Planning School Congress. Raumer, H. S.; Jِörg, J; Alfiky, M. (2016): Respecting the Role of Agriculture for an Integrated Landscape Development at the Urban-rural Fringe Using Geodesign Tools. In: Journal of Digital Landscape Architecture, (1–201), pp. 327–336. Elmouelhi, H., Alfiky, M., Born, L., Misselwitz, P. and Salheen, M. (2016): Development Priorities in Cairo Informal Areas: Planning, Realization and Local Perceptions. In: TRIALOG, pp. 28–34. Alfiky, M.; Salheen, M. A.; Reuter, W. and Khalifa, M. A. (2014): Securing Tenure for Squatter Areas in Cairo. In: IUSD Journal, 2(2), pp. 3–10. Available at: http://iusd.asu.edu.eg/?page_id=35.